As you probably know, I'm not only a huge Dodgers fan, I'm also just as big of a Kings fan. I've been rooting for them since the days they wore purple and gold (just like the Lakers) and have suffered along with the franchise as they have stumbled through season after season. This year, though feels different. They are playing with the kind of confidence and moxy I've never seen from this club before, and it's exciting, to say the least. In that vein, it was nice to see several Dodger players cheer on the hometown team in the video below. 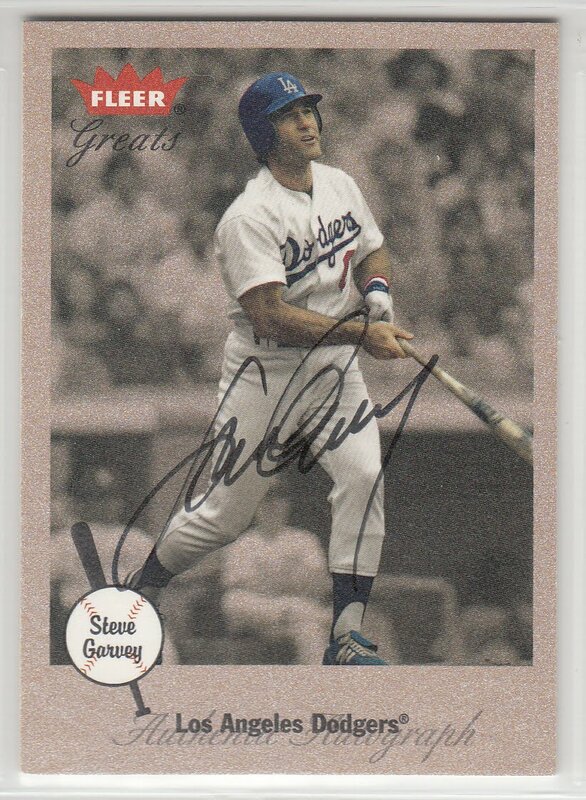 On top of that, there will be a Dodger signing this coming Tuesday at Dodger Stadium for the game against Arizona. 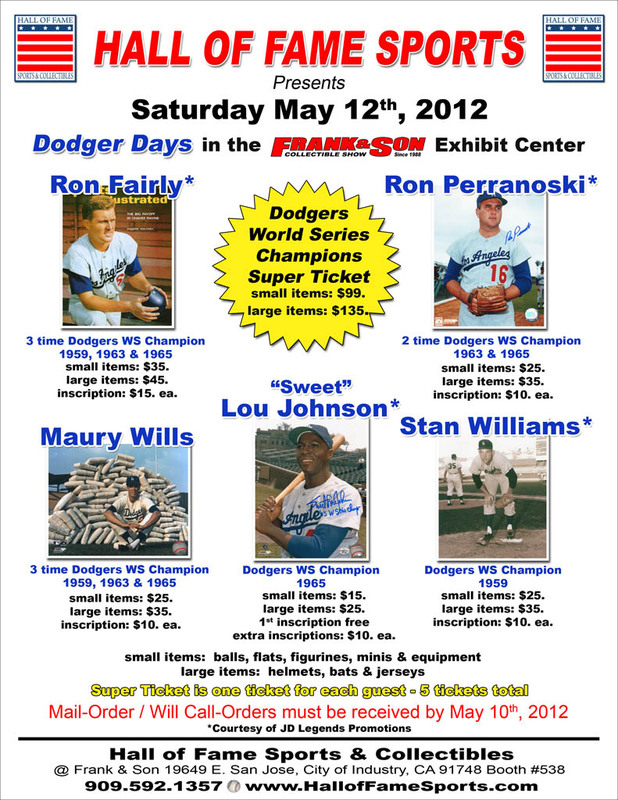 Frank & Sons is hosting Dodger Days in the City of Industry on Saturday. 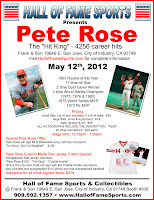 Peter Rose will also be there. 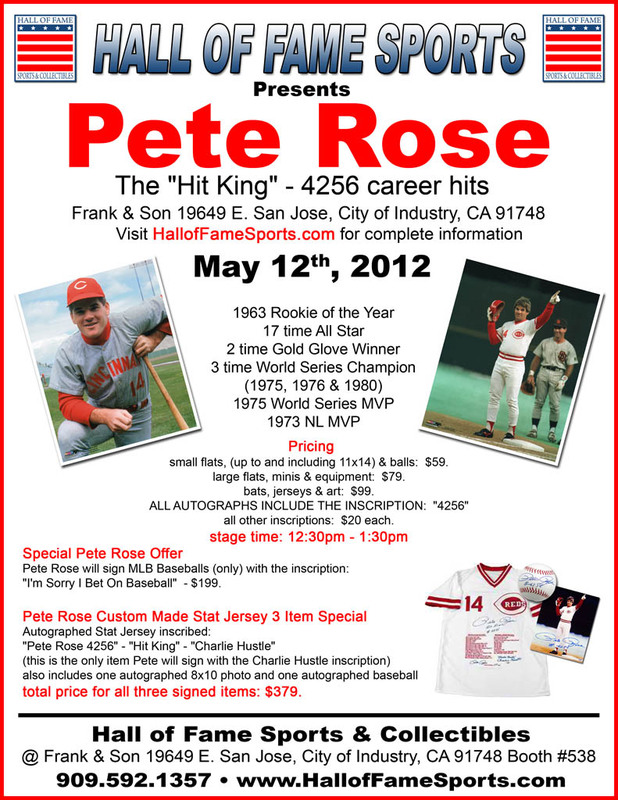 See the below flyers for more information. Click on the pics below to embiggen, or go to this link. 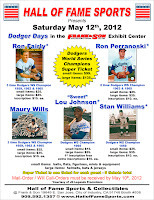 Yesterday, I featured a handful of Dodgers collectibles current on auction at Robert Edwards Auctions. 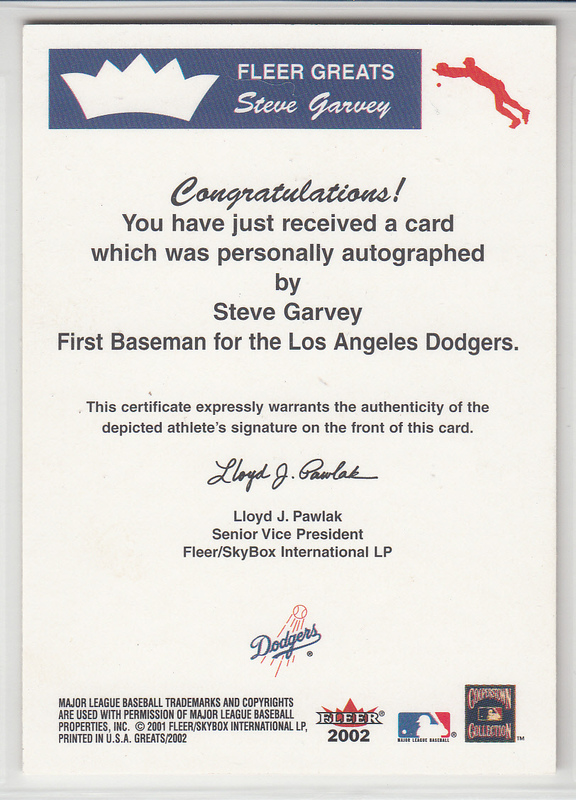 Today, I follow that up with three more Dodgers memorabilia items to gaze at. I think I may have featured this pinback in the past. Nevertheless, it is so rare it is worth another look. Below is a 1949 Brooklyn Eagle advertising pin featuring Jackie Robinson. 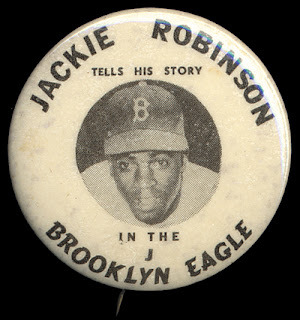 The Brooklyn Eagle was one of the main newspapers spreading news and information to the borough at the time, and this pinback was meant to advertise an upcoming feature article about Jackie Robinson's life. The pin itself does not have a union mark (not uncommon, but collectors always prefer to see one on the reverse), but does have the manufacturers name noted on the underside of the curl. The maker is "Samuel H. Moss of New York." According to the auction description only 5 of these pins are known to still exist. On a side note, several years ago I purchased a group of vintage printing plates with player portraits that came from the Brooklyn Eagle. I'll have to dig those out to show all of you. 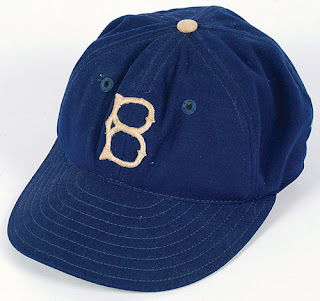 The below cap isn't particularly remarkable, except for the fact that it's a real game-used Brooklyn Dodgers cap. It dates to the 1950's and its user is unknown. Although a #18 scrawled under the brim points to either Wayne Belardi or Jim Hughes. What I find interesting about the auction is that even with us not knowing who actually wore it it still garners a great amount of collector interest. It started with a opening bid of $200.00 and is up to $800.00 currently. Wow! That seems like a strong number. 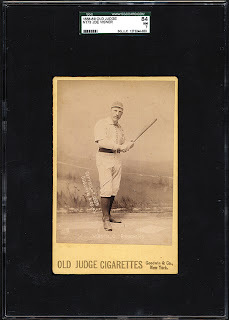 Here is a scarce 1889 N173 Old Judge cabinet card of former Brooklyn catcher Joe Visner in a batting stance. Who is Joe Visner? Well, since I didn't know either I decided to do a little bit of research. 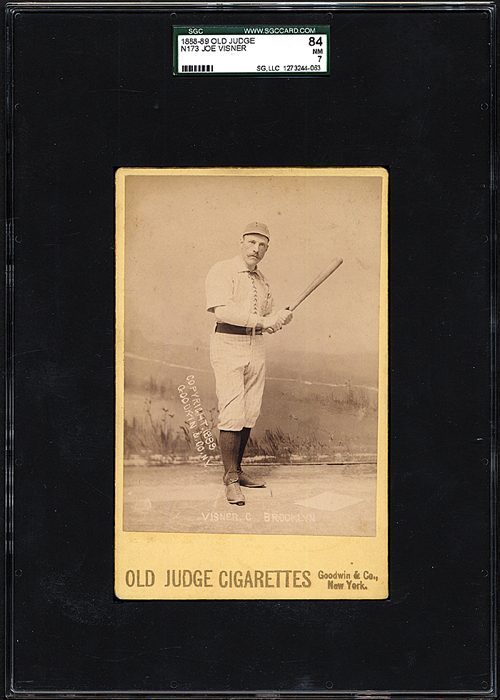 Visner played for the Brooklyn Bridegrooms for only one season (in 1889) and helped lead the team to a pennant. 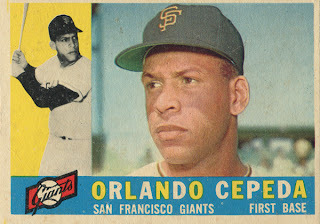 At the plate he was an able hitter as he slugged a team leading .447 while tying the team lead for home runs at 8 (this was a lofty number back then). 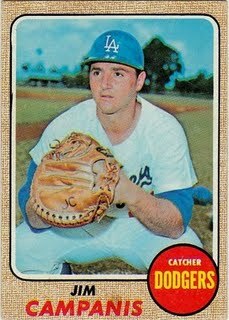 Of special note, Joe Visner was of American Indian descent, and one of the earliest Native Americans to play the game professionally. Following up on yesterdays post, here is another Steve Garvey autographed card in my collection. 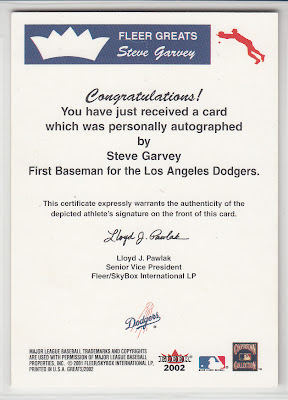 This time it's a Fleer Greats card from 2002. In the photo, Garvey is caught admiring a long drive to right field. 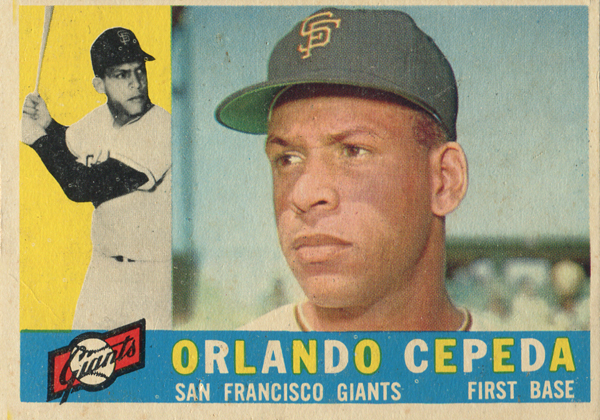 I like to think he hit it out, but his facial expression tells another story. He almost looks unsure. "Did I get enough of it," Garvey wonders.